The Peach Truck is a pretty big deal. People who routinely line up for the truck’s arrival at Rollier’s will tell you, unless you’ve had a real Georgia peach, one that was hanging on the tree just a short while ago, you’ve never really had a peach. Stephen and Jessica Rose began sharing Georgia peaches with a wider market about six years ago. Since the purchase of the Georgia Peach Truck, in Nashville in 2012, the Roses have been spreading their wings north into Michigan and east as far as Pittsburgh. The truck’s last visit of the season happens this coming Sunday. It will be at Rollier’s from 8 to 10 a.m., at Bedner’s in McDonald from noon to 2 and at Rural King in Washington from 3 to 5. A 25 lb. box runs $40 and credit/debit cards are preferred. With punching only 50ish calories per peach, pumped with protective antioxidants and essential fiber, there’s nothing tart about them. So while a peach makes a healthy (and delicious) snack on its own, here are some simple recipes you could use throughout the day to diversify your peach palate, satisfy your summer cravings without crashing your diet, or just get the kids running back for seconds – maybe even thirds. Pro tip: Their shelled and halved pecans are $14 per lb. and go with just about every recipe! In a large mixing bowl, combine peaches, vanilla and ⅓ cup maple syrup. In a separate bowl, combine oats, pecans, salt and cinnamon. Cut in half of the coconut oil until the mixture looks like large breadcrumbs. Combine the peach bowl to the mixture. Using either a 9×13 baking dish or cupcake tray for a grab and go breakfast sprinkle the top with the remaining coconut oil. Bake 45-60 minutes, until the peaches are soft and the oats have browned as desired. Chop the beets, slice the peaches and set aside. In a small bowl, whisk balsamic vinegar, oil and honey together until well combined. In a large salad bowl, add the arugula (or mixed greens) and toss with dressing. Add the peaches and beets and toss again. Top with walnuts and crumbled goat cheese on top. Lightly oil peach slices and place on the hot grill grates. Move after 1 minute to make sure they don’t stick; flip peaches once they start forming grill marks. Once cooked for until there are marks on both sides, transfer to a covered platter. Coat naan flatbreads with olive oil. Place the naan on the grill until grill marks form, then flip and spread the pesto on top. Top naan with grilled peaches, mozzarella and basil. The garnish with pine nuts and drizzle with balsamic glaze. Add all ingredients to blender until smooth. Melt coconut oil in 9″ round pan. In a large mixing bowl, blend almond milk, honey and egg. Combine this mixture with gluten free baking flour. Pour the batter over the melted oil in the pan. In another mixing bowl, mix the sugar, salt, cinnamon and nutmeg with the peaches. Spoon the peach mixture on the top of the batter. Optional (but really) top with traditional vanilla ice cream. 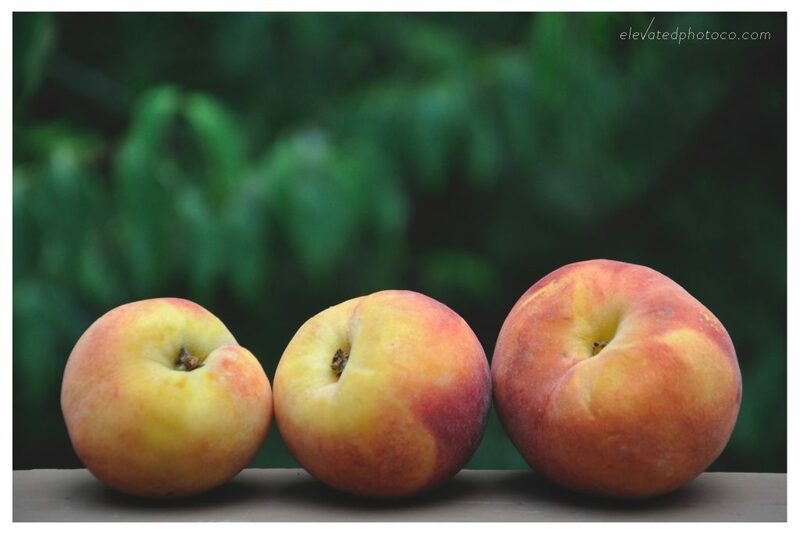 If you’re searching for even more peach-perfect ideas, here’s the peach truck’s official guide to freezing and canning.